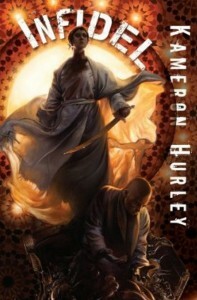 Happy book release day to my second novel, INFIDEL sequel to the Clarke Award nominated GOD’S WAR, out today in the UK. 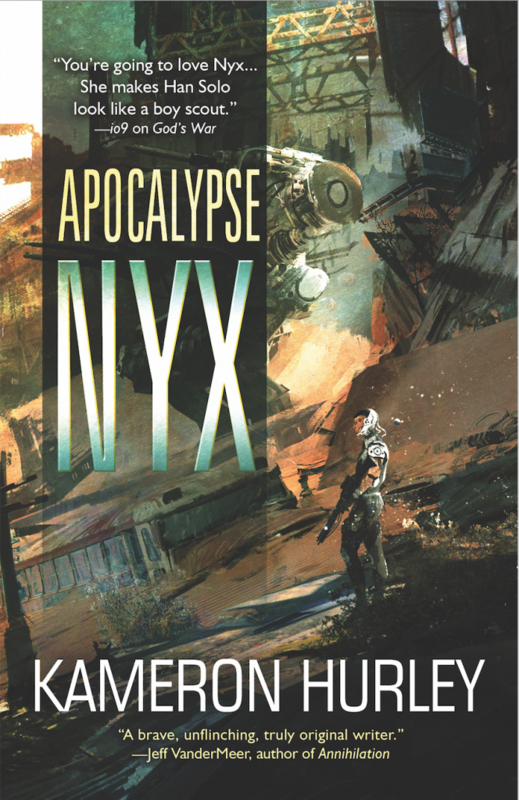 Nyx and co. are back. You get a beheading in, like, the first six or eight pages. It just gets better from there. 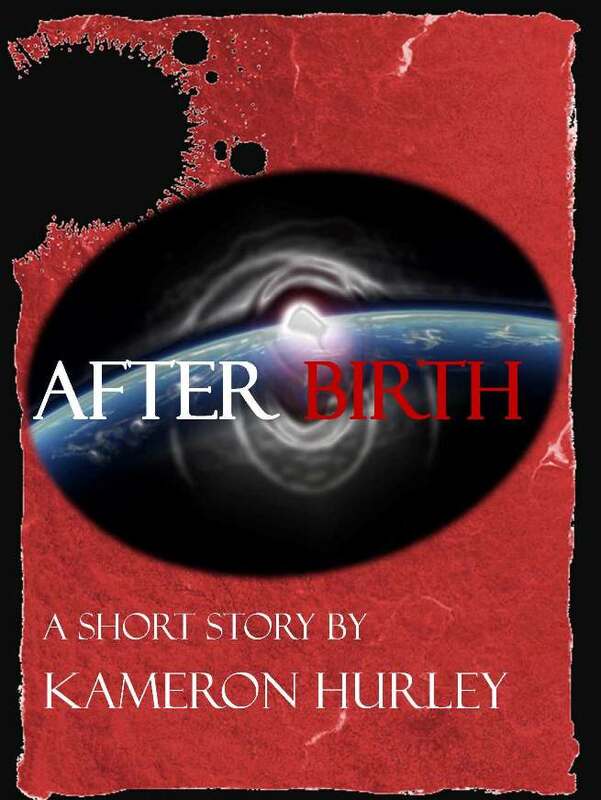 Still on sale through the end of today for 2.99 in eBook. 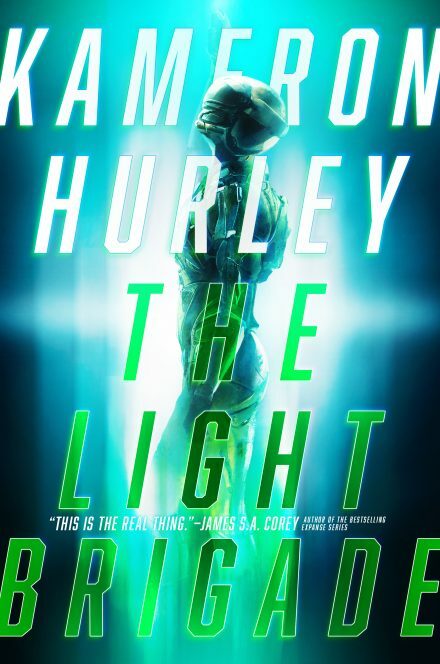 Deal, my friends, DEAL, as this was a Clarke Award nomination special, and alas, that window closes in ohhhhhh… two hours? Snap it right up! 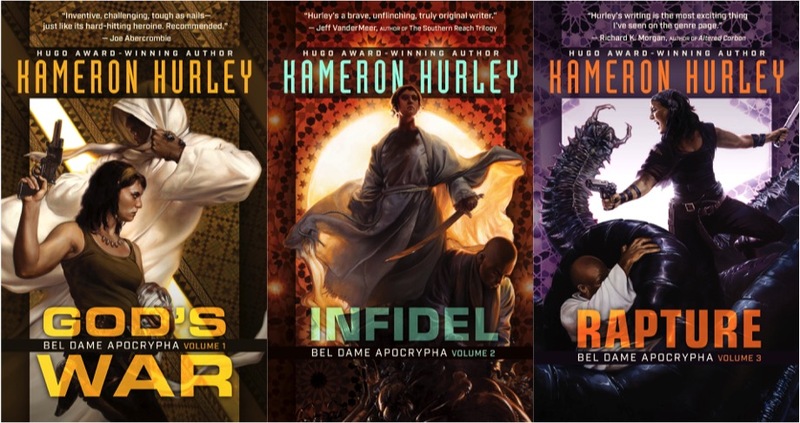 Thanks to everyone for supporting these books, all around the world. You’re fantastic. 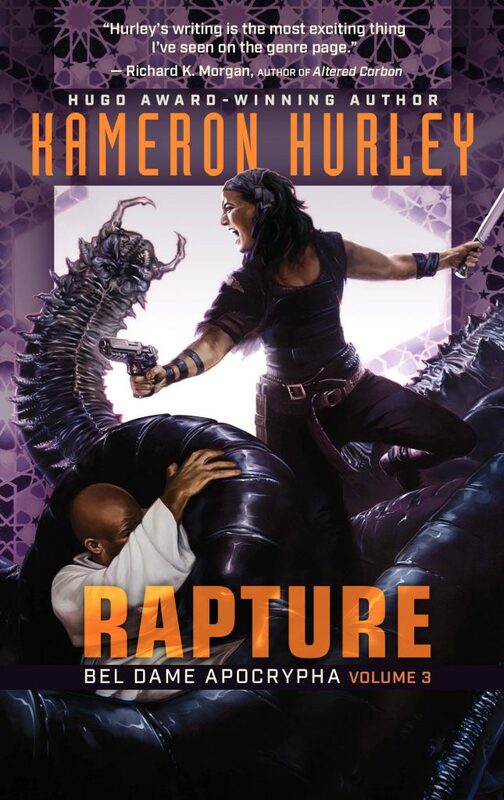 I’m pleased to share that GOD’S WAR, INFIDEL and RAPTURE will be published in the UK (and the British Commonwealth) by Ebury Publishing, a subsidiary of Random House, UK. For those keeping an Irony Meter handy, my first contract for GOD’S WAR, which was cancelled and resulted in us heading over to Night Shade, was originally signed with Bantam-Spectra here in the US… Bantam-Spectra is also a division of Random House. It’s a crazy, crazy business, folks. 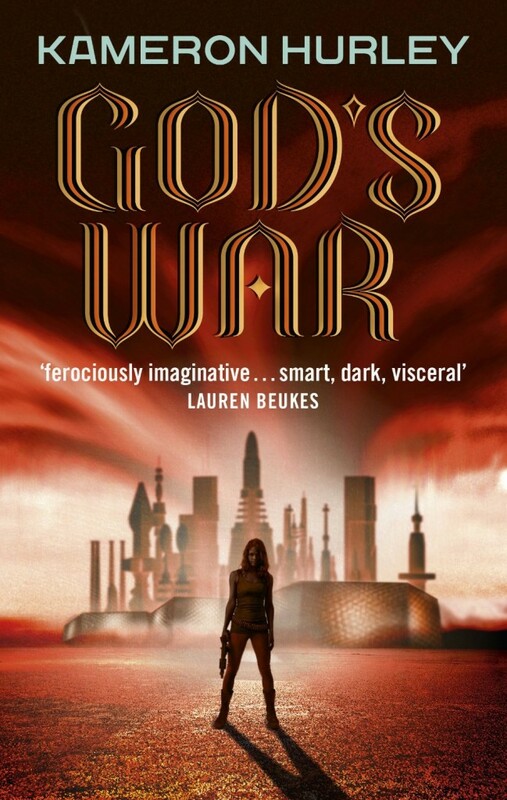 In more Good News, Audible has also bought the rights to publish GOD’S WAR, INFIDEL, and RAPTURE in audio format. 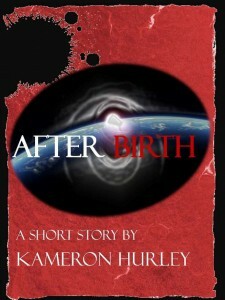 I have no publication dates or details beyond that, but I will keep you all posted as I hear more. Does this mean you’re RICH now? It’s always been very important to me here to be honest about what new writers can expect from deals like this. So here’s how it works. After my publisher’s cut, my agent’s cut, and taxes, the UK deal – for all three books – is about enough to pay for us to finally put a fence up around our property. That said, the pay out on that amount is spread out over the publication of all three books. So money will trickle in over, most likely, the next 2-3 years. The Audible deal for all three books equals a little more than half of what I was paid by Night Shade to publish GOD’S WAR alone. So, maybe I’ll pay off part of a credit card with it? Whether or not money is made after those initial amounts depends wholly on how many folks buy books in these editions/formats. So BUY SOME BOOKS!!! But… but… won’t you be bathing in royalty money? Not any time soon. I split a portion of any royalties I receive with both Night Shade (because it’s a sub rights deal on rights they already own and paid us for) and my agent. I still get the bulk of the royalties, but if you think this is a Get Rich Quick scheme and I’ll be quitting my day job any time soon… well, no. 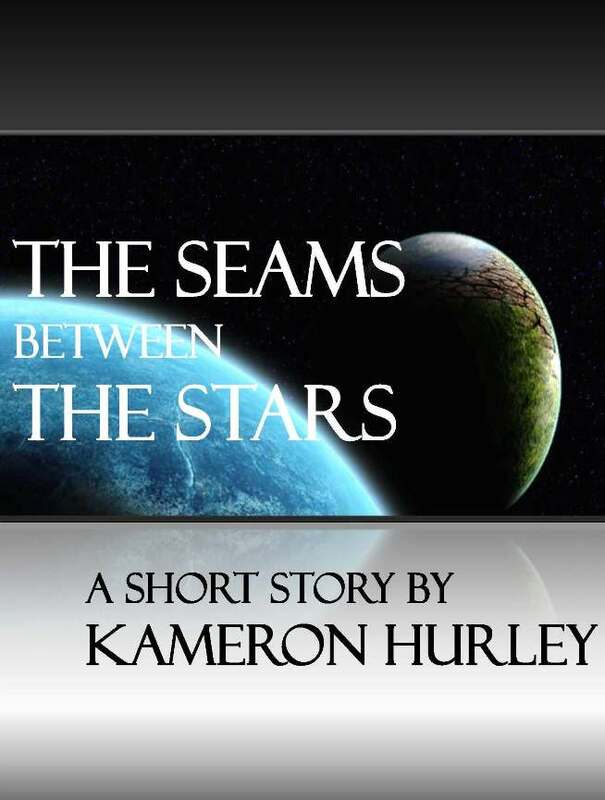 Are you going to have (INSERT FAMOUS JENNIFER-HALE TYPE PERSON HERE) read your audio book? 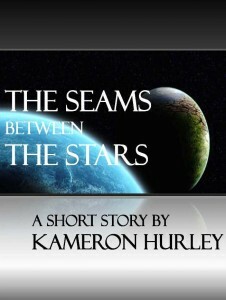 Can my friend (INSERT FRIEND’S NAME HERE) narrate your audio book? As I understand it, unless you’re already Rich and Famous and can get said Famous Person to do the narration at a cut-rate deal, Audible generally does all the production for stuff on their end. I will get to tell them how to pronounce words, though. So that’s cool. How much input did you have on these deals? My publisher already owned both World English and audio rights to my novels. That means they negotiated these deals. 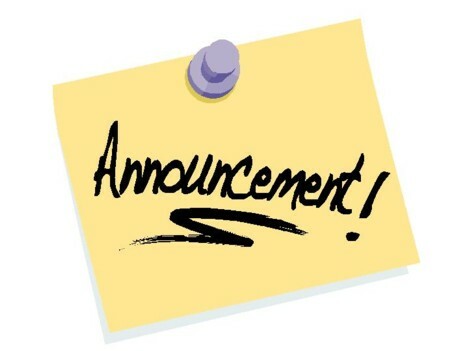 That said, I was presented with the initial UK offers through my agent, asked my opinion, and gave it, including a change to an initial bit of the offer. My agent also requested an amended contract that firmed up our split of the subsidiary rights. You don’t sound really happy. Aren’t you really happy? Yes, I am really happy. The thing is, just a few short years in the trenches in this biz has made me a bit guarded and cynical (see above post about my initial cancelled contract). I’ve learned that seeing “big money” when you sign a deal doesn’t mean you’re getting a big money check. Lots of people have to get paid before you do – the publisher gets paid for any subsidiary rights split, agent gets 15% and at Tax Time there’s a 10% self-employment tax. Then there’s the fact that you only get paid twice or maybe three times a year – and those payments are nearly always late. The only way a lot of folks I know can make a living at this is to write 2-3 books a year, and I’m just not there yet. Not if I want to write the kinds of books I write. Right now, book writing makes up just 10-15% of my income during a good year. Still, I’m happy. This means more people reading my books. Which, yanno, I think are awesome and everyone should be reading. I have a lot of work ahead that goes with all this, but I’m trying not to think about that too much. Mostly, I’m working hard on the next book (epic warring families! Womb tech! Biotic witches! Cancerous legions of world ships! )… and trying to have a little fun. And maybe I’ll use some of this money to take a vacation or something. A vacation that I’m not taking so I can, yanno, finish a book. Writing is a lot of work. Oh, I always knew that, of course, but writing a book over 2, 3, 5 or 7 years stretches all that work out and makes it feel like a lot less. Or at least a lot less all at once. 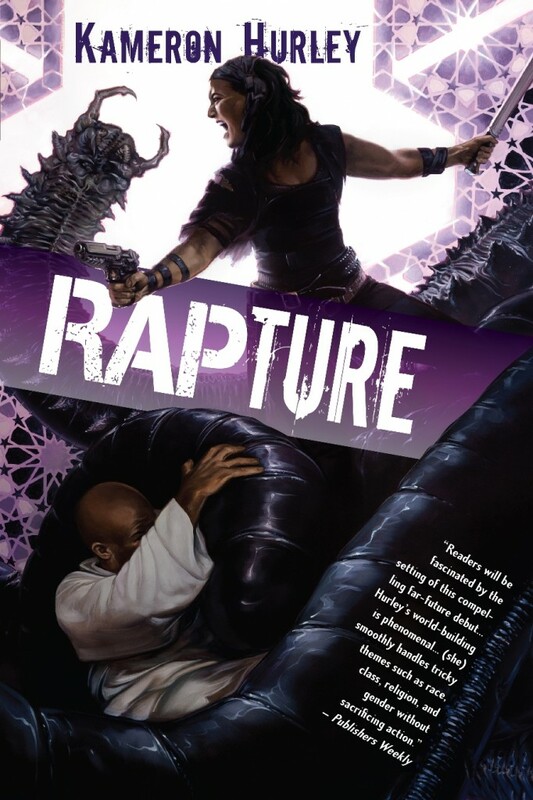 I was about halfway done with RAPTURE when I got official word that my publisher wanted it. However, they also wanted it in early 2012 so we could make a late 2012 release date and keep me on the book-a-year schedule that’s seen as so desirable these days. Lest you think it’s merely desirable for a publisher so they can push product, think on this: today, our attention spans are shorter than ever. If you’re a writer who isn’t being talked about at least every few months, you’re going to end up in obscurity rather quickly. Writing and marketing a book a year, and putting out short fiction, and all the rest, is the only way to stay top of mind. Having a backlog of books at some point may help me, but right now I feel like I’m fighting for market share in a rapidly cluttered marketplace. So I have a draft due March 1st, but am pushing to get my own rough draft done by January 1st so I can spend at least a couple months mulling and revising. There’s nothing worse than a book that’s obviously been rushed out the door and ill-thought-out. These books in particular live or die based on my own knee-jerk laziness. 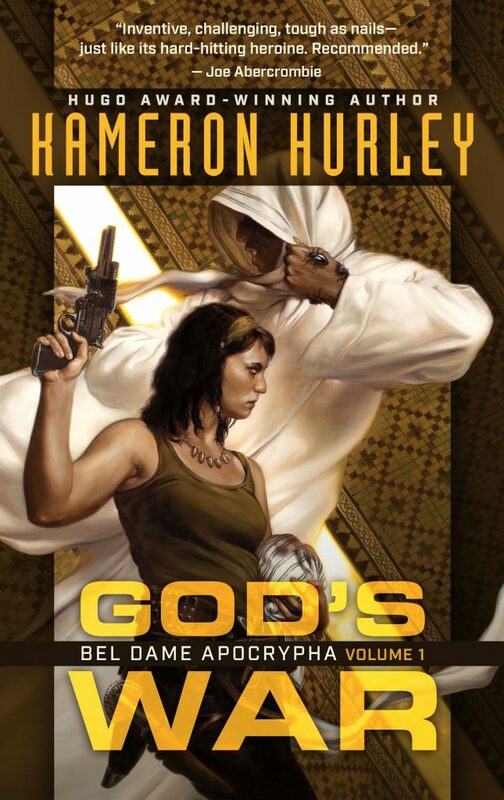 If you knew the kind of Crazy that went into the first drafts of both GOD’S WAR and INFIDEL, you would weep (I did). So that two month down time to ruminate over a complete draft is vital for the book, and my sanity. What’s not so great for my sanity is that that meant I needed to write the draft of the second half of the book in about three months. I’d been muddling with the first half for about a year. The thing is, it’s a lot easier for me to focus on finishing a book when I have a deadline. Books will fill all the time I give them. I needed the deadline. But I won’t lie – the long, slogging march to the end is brutal. I am tired, and cranky, and not devoting enough time to loved ones and hobbies and fitness and book marketing. I have a day job that pays the bills and takes up a lot of writing time/brain energy – I wrote a lot of day job words last month in addition to fiction words – and looking at the cost/benefit to my writing time at the day job vs. the fiction is… sobering. I told J. that it felt like, the last couple of months, all I was doing was working. To which he replied… well, that’s because all you are doing is working. Even when I sat down the other night to watch a show about combat training on Netflix while eating dinner, I was taking notes, and trying to figure out at which point in the training regime each of my characters would drop out (it tells you a lot about a person). I am not dying, mind you. It’s not like I’m doing heavy labor sixty hours a week, but it’s… taxing. My brain is tired, squeezed dry like a rancid sponge. I have a week off at Christmas, which I will be spending the same way I spent my week off at Thanksgiving… writing. You wouldn’t believe just how much of the wild writing life involves… writing. And when the draft is done, it’s off to the library again to fill my brain back up so I can flesh out some of the lazy worldbuilding hand-wavey filler I’ve got in here to tide me over until I have the headspace to create actual scenery that doesn’t look like, say, the house I live in. Which is where I am spending a lot of time these days. It’s a good thing I really like my house. I’m doing all of this with the knowledge that there are a whole lot of writers who work a lot harder than me. Many of them who also have day jobs and families to juggle. Watching them write 2-3 books a year and a bunch of short fiction and win a bunch of awards and not fall over is… disheartening. I feel like I should be able to squeeze out more. My brain should be more robust. I should be better able to juggle everything. Instead, I’m watching other projects slide away and prioritizing my book over… well, everything. My only reprieve is working out to episodes of Bones or The Biggest Loser or Star Trek and tuning out for 60-90 minutes. Even reading feels like a guilty indulgence, as every time I get into bed, I feel like I should have my laptop with me so I can bang out a few more words. All I want to do right now is yell at these people. I’m often reminded of something Sam Delaney wrote, about how he had always prioritized his writing over his partners, and his health. I gave up everything to write for most of my roaring 20’s, and though it eventually got me a novel contract, I was an incredibly unhappy person. I’m a lot happier now, but even more introverted, because in addition to writing, and having a partner, and managing a household and day job career, I’m also spending a lot of headspace managing a chronic illness. In order to go back to living in Nyx-land forever, I’d have to throw all of that out again. Some of that is doable. Some of it is not. But even then…. would it be worth it? I look at book sales and book checks right now, and to me, well – it really isn’t. This is a heartbreaking, competitive, and exhausting profession. You have to really love it to do it, and you have to know how to prioritize it in order to carry on. So don’t ever come to me and tell me you want a quick fix, an easy way to make money. Don’t tell me writing is the best thing in the whole world… but only when you feel like it. Don’t tell me that if you “had the time” you would “be a writer” too. No one has the time. No one’s sitting on a beach. Nobody gets a quick fix. I am tired. And I have a book to finish. And there are some nights I want to cry about it. Because at the end of the day, despite the angst, and the despair, and the wallowing – I really want to be a successful writer. I want to be good at it. And tell lots of stories. It’s all I ever wanted. Turns out I got a lot more besides that to work toward, now. It’s figuring out how to have everything without epically failing at all of it that’s the struggle. 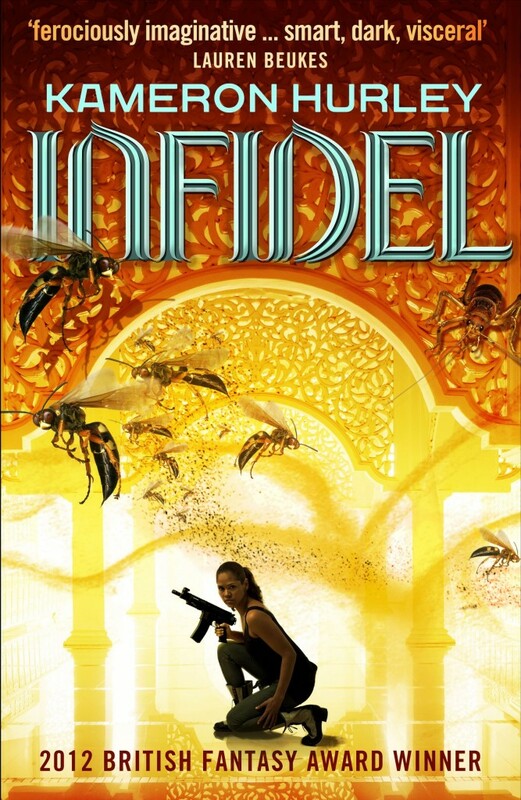 Giving Away 5 Free Copies of INFIDEL at GoodReads! First Three Chapters of INFIDEL Now Available for Download! Just dying to know whose head gets chopped off next? No worries. 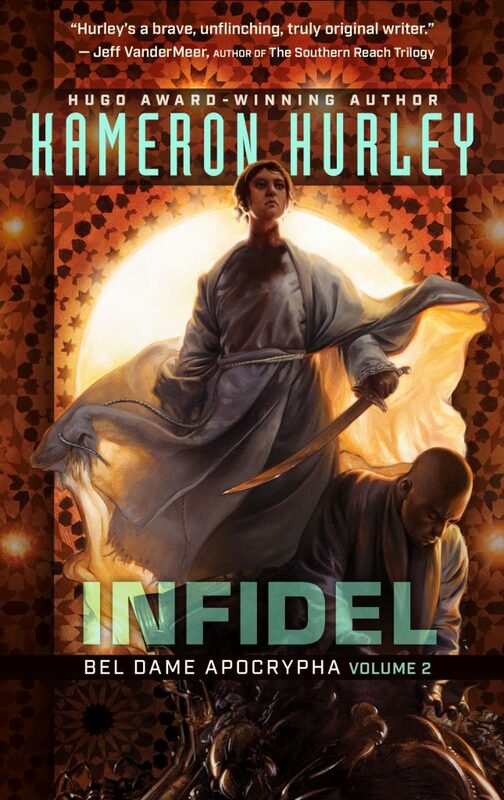 I’ve got the first three chapters of INFIDEL right here available for download – which includes the first head-hacking scene of the book!